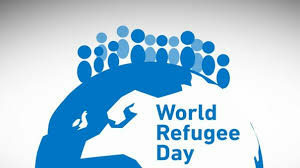 20th June is World Refugee Day: We will gather at 6:30PM for 30 minutes at the MK Rose in Campbell Park (location info at theparkstrust.com/parks/milton-keynes-rose) to remember refugees and migrants thoughout the world – and those who have found a home in Milton Keynes. Before attending, please check rwmk.org.uk/events for late-breaking updates/details and additional events. June 18th-24th is Refugee Week, which takes place every year across the world in the week around World Refugee Day on 20th June. In the UK, Refugee Week is a nationwide programme (see refugeework.org.uk) of arts, cultural and educational events that celebrate the contribution of refugees to the UK, and encourages a better understanding between communities.